The North Face Kayenta Jacket is Ideal for long spring-summer explorations, this easy to wear technical shell provides waterproof, breathable DryVent™ 2L protection from the elements. 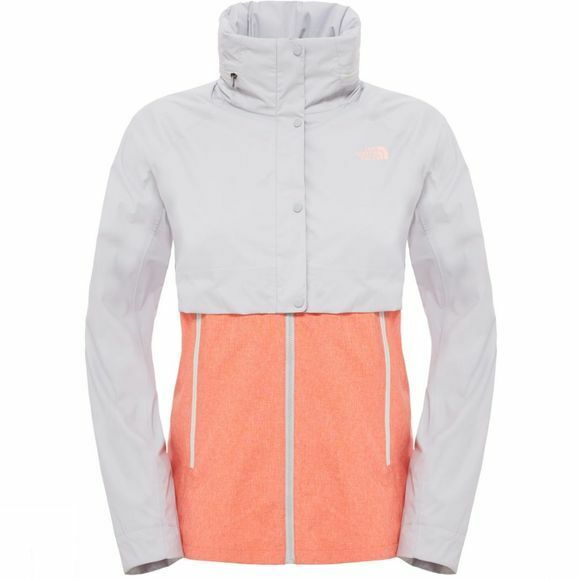 The stylish, oversized collar has a built-in adjustable and detachable peaked hood for sudden downpours. Read the full product feature list below.